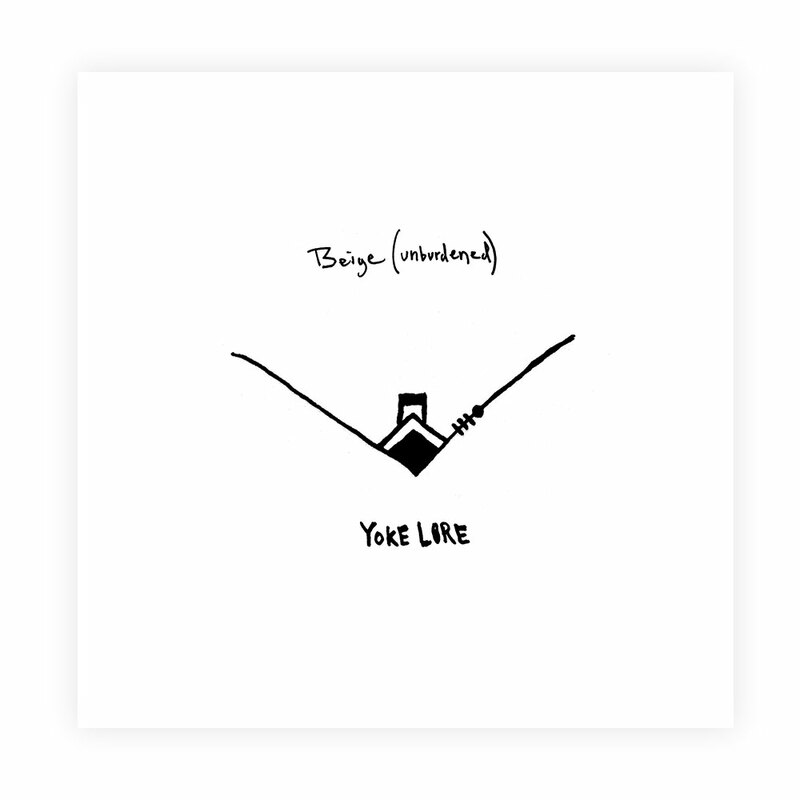 Yoke Lore has just released a new, stripped down version of his 2017 song "Beige", now titled “Beige (unburdened)”. "This song turned out to mean a lot of important things to people,” says Adrian Glavin (Yoke Lore). “In re-interpreting it, I wanted to clear out everything but the song itself, so that people to whom it means something can get a more refined picture of what the song means. Clear out the clutter, unburden yourself." “Beige (unburdened)” leads the way for an acoustic EP titled Mediations, due out later this Spring via Arts & Crafts. After putting out three acclaimed EPs which gained him a loyal following— Far Shore (2016), Goodpain (2017), and Absolutes (2018) — 2019’s Meditations strips several of Galvin’s familiar songs to their core by trading the usual electronic elements for arrangements of piano, horns, and strings. “In re-interpreting it, I wanted to clear out everything but the song itself, so that people to whom it means something can glean a more refined experience of the song itself. Clear out the clutter, unburden yourself,” Galvin explains of “Beige (unburdened),” the reimagined version of his song “Beige” from the Goodpain EP. In addition to these re-interpretations, listeners will also find two new studio songs on the new Meditations EP. 2017, the year the Goodpain EP was released, was a turning point for Yoke Lore. His stand-out single “Goodpain” roused fans old and new — including Spotify, who invited Galvin to their New York City studio to record an acoustic version of the track, as well as two covers for his Spotify Singles: “Last Christmas” by Wham! and “Truly Madly Deeply” by Savage Garden. His holiday song graced Spotify’s Holiday Singles playlist alongside covers by Demi Lovato, Sam Smith, and Miley Cyrus. Yoke Lore also found an unexpected new fan in popstar Taylor Swift, who added his cover of “Truly Madly Deeply” to her “Songs Taylor Loves” Spotify playlist in 2018. Three years of non-stop touring (supporting acts like Bastille, LP, Frenship, Overcoats, The Pains of Being Pure at Heart, and Aquilo) and playing festivals worldwide (SXSW, The Great Escape, Field Trip, Billboard Hot 100) led to Yoke Lore’s first US headline tours, selling out shows all over the country. In 2019, Yoke Lore will make appearances at BottleRock Napa Valley and Firefly Festival, following an east coast headline run and European dates with Highasakite. Absolutes, the forthcoming EP of New York indie pop act Yoke Lore, due July 27 via Arts & Crafts, explores the grey areas between black and white ideas while building upon the lush, sonic palette of his past works. The new music finds multi-instrumentalist, dancer, and visual artist Adrian Galvin polishing his heartfelt anthems and ruminating on finding balance amid respective oppositions by breaking through the notion that truth necessitates purity. After recently premiering the first song from the EP, "Fake You", and following with the gorgeously minimalistic track "Cut and Run", today, the Brooklyn based artist releases, "Ride". It's the final taste of the stunning forthcoming 5 song EP, and premieres alongside a breathtaking visual accompaniment on OUT Magazine. Directed by his brother, LGBTQ+ actor, Noah Galvin (star of Dear Evan Hansen and ABC's The Real O’Neals), the video depicts an LGBTQ+ love story that sees star-crossed lovers eventually call it quits, placing remnants of their relationships in a fire to giving their love a proper goodbye. Describing the meaning behind the video, Noah explained, "Too often at the end of a relationship, be it romantic or otherwise, there is no real moment of farewell. Perhaps this is due to fear. I’d like to think goodbyes would be less scary if we ritualized them in some way. “Ride” is about giving a relationship a proper burial... punctuating an ending that often goes unpunctuated." Continuing his exploration of juxtapositions and what we know to be "absolute,", Yoke Lore revealed how the meaning of the visuals relate back to the theme of the song, adding- "Fire is the great leveler. It is both a creator and a destroyer, and we often use it to mark transitions. Cremation rituals exist in cultures and belief systems that often practiced traditions in ancestral worship and afterlife dramas. Funereal celebration was often seen as a way to guide the life to its next destination so it could fulfill its next purpose. Romans put coins on the deceased eyes so the person wouldn't be short on cash when they got to the afterlife. In ancient Assyria, wives whose husbands died were forced on the funeral pyre so that their husbands wouldn't be lonely in "the great below." There have always been rituals to commemorate, not just the death of someone, but to prepare them for the next place and task. Our fire is this fire. It is a fire to make something new where something had grown old. It's a controlled burn of a portion of each self. You don't want to scorch the earth, but dead things feed the future." The songs on Absolutes gravitate around the struggle between two sides of something. Like track, “Cut And Run”, which conveys the instinct to flee versus the instinct to find a home, and “Concrete” illustrates Galvin’s struggle between living in the city and being in the country. “So, they are all the conflicts of absolutes,” he states. “There must be a balance, some movement and some pull. A life of absolutes is no life at all.” As with his previous releases, Galvin drew the artwork for his upcoming EP using bifurcated lines and contrasting imagery to convey his messages of absolutes. The former Walk the Moon and Yellerkin member’s solo musical endeavor combines echoing waves of banjo, vocals, and percussion to create unforgettable pop songs with tactile sincerity and conviction. Galvin first hit the ground running in 2016 with Yoke Lore’s debut EP, Far Shore, released on B3Sci Records. In 2017, the title track of his 2017 EP “Goodpain” hit #1 on Hype Machine, and quickly after his songs caught fire on Spotify, racking up over 10 million plays throughout the year. Goodpain also garnered attention from major tastemakers such as NYLON, Consequence of Sound, Billboard, and more. Yoke Lore toured extensively through 2017 with acts like Aquilo and Overcoats, while also making his way to the UK for The Great Escape and festivals like Field Trip and Billboard Hot 100 in New York. Following the success of his song “Goodpain”, Galvin was invited to Spotify’s New York City studio to record a stripped-down version the track, as well as two covers for his Spotify Singles: “Last Christmas” by Wham! and “Truly Madly Deeply” by Savage Garden. His holiday song graced Spotify’s Holiday Singles playlist alongside covers by Demi Lovato, Sam Smith, and Miley Cyrus. After a successful first-ever run of headline tour dates, Yoke Lore found a unexpected new fan in pop idol Taylor Swift, who added his cover of “Truly Madly Deeply” to her “Songs Taylor Loves” Spotify playlist in 2018. After a cross-country spring tour with FRENSHIP, Galvin will be heading back out on the road again this Fall.